Water damage is one of the worst things that can happen to your home. 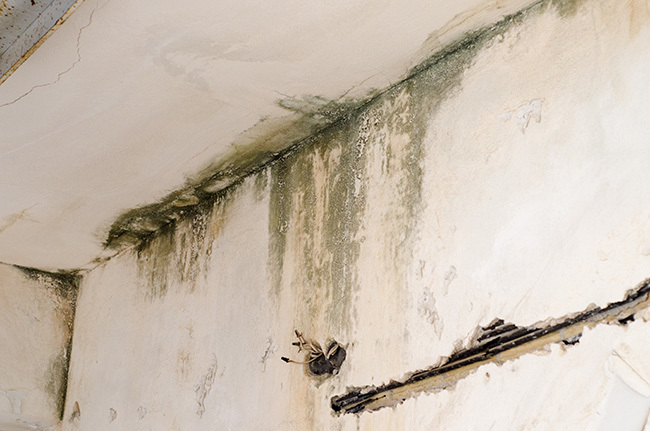 Water damage can lead to the growth of mold in your home. Mold is expensive and time-consuming to remove and it can cause extensive health and respiratory problems for you, your family, and your pets. If you have a leaking pipe that’s visible you can get that fixed quickly. However, there are miles of hidden pipes inside the walls of your home and under cabinets, crawlspaces and other areas that you can’t see easily. At any given time those pipes could have small cracks or drips that are leaking water into your home and causing water damage. You may not even see the damage until a pipe burst, or you might not know there’s a leak until you start to see telltale stains and water seeping through your walls, floors, or ceilings. The best way to prevent this kind of hidden damage from leaking pipes is to make sure that you get your plumbing checked at least once a year by a professional plumber. A plumbing professional will use high tech equipment like sonar to look at all of the plumbing in your home to find any cracks, drips, or small leaks before they cause serious damage to your home. Plumbers can also clear out your drains to make sure that water isn’t backing up in the pipes because of clogged drains. You should really have your drains cleaned on a regular basis to prevent water damage in your home. At a bare minimum, you should have a plumber check your plumbing once a year. When was the last time you had your gutters cleaned? If it’s been a long time, then you should get them professionally cleaned right away. Over time, especially during the fall, debris like leaves and twigs can get blown into your gutters and clog them. When there’s debris in those gutters the rain and melting snow has nowhere to go except into your home through small cracks and crevices. Near the bottom of the gutters, the water can seep into your basement and also into the foundation of your home. When the water freezes and thaws as the temperature changes it can cause damage to the foundation of your home and you may not even realize that there are cracks down there. Eventually, you might even need to replace the foundation of your home. The best way to prevent water from getting into your walls and basement from the gutters is to get the gutters cleaned out twice a year. Home experts say that you should get the gutters cleaned after the winter. You’ll want to make sure that any parts of the gutter that were damaged by wind or storms are repaired by a professional so that the spring and summer rains won’t cause water damage. 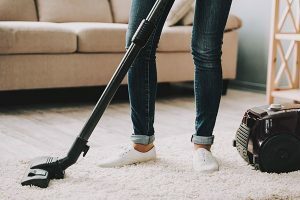 Then you should get them professionally cleaned again just before the fall season so that you’re sure that they’re clean and damage free before the fall comes. It’s always a good idea to have professionals clean your gutters because they’re experienced at cleaning off the debris of all kinds and even small pests or insect nests that can take up residence in your gutters. Often homeowners think it’s no big deal if they have a leaky kitchen sink, or if the seal on the dishwasher isn’t as tight as it should be, or if they see a little bit of water near the washing machine after running it. 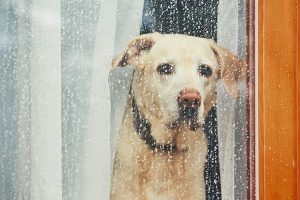 Those drips and puddles are a warning sign that there could be water that you’re not seeing leaking into your home from those leaky faucets and appliances. Don’t assume that just because there’s only a small amount of water it’s not going to cause damage. Over time that water can seep into your floor or into your cabinets and cause mold to grow. Water can cause hardwood floors to warp or rot when you don’t repair leaky faucets. When you notice that you have a leaking faucet or if you notice water inside the cabinets under the sink call a plumber to come in and fix those leaks. A plumber can search for hidden leaks to be sure that there isn’t more water damage in your home. Leaking toilets, bathtubs, and showers are probably the most common cause of water damage in a home. Overflowing tubs, water leaking from a toilet on the second or third floor, or problems with a shower drain can all cause significant water damage in a home. The more bathrooms you have in the home the more vigilant you have to be about making sure that all the plumbing in the bathrooms is in good working order. 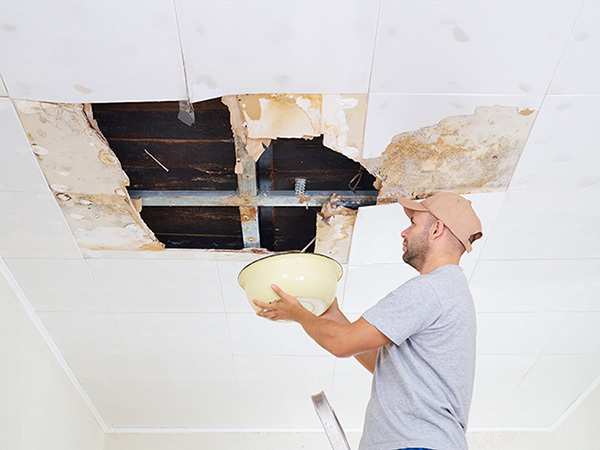 Even small leaks can lead to major home damage over time. Make sure that you call a plumber as soon as you notice any water that shouldn’t be there in the bathroom. Get leaky faucets fixed and clean the drains in the shower and tub to prevent water from backing up. Most homeowners don’t really think about their roof until there’s a problem that needs to be fixed. Missing roof tiles or damaged shingles can allow water to drip into the walls and ceilings in your home. Once that water damage starts it can be difficult to stop because you don’t know where it’s coming from. You may not even realize there’s a water damage problem until you start seeing huge stains on walls or until ceilings start falling down. Roof damage can be caused by lots of different things. The wind can knock loose shingles or cause damage to the shingles. The wind can also blow debris like sticks and other sharp objects onto the roof which can break shingles and rip off the paper. When the winter rain and storm seasons come if there are any holes or cracks in the roof the water from the storms will definitely get inside and can cause structural damage. You should get your roof powerwashed at least once a year so that the water can wash off any debris, algae, and mold that might be up there. Once the roof is clean you will be able to assess the condition of the roof more effectively or have a professional look at it to make sure that the roof isn’t damaged and that water can’t be getting into your home through the roof. 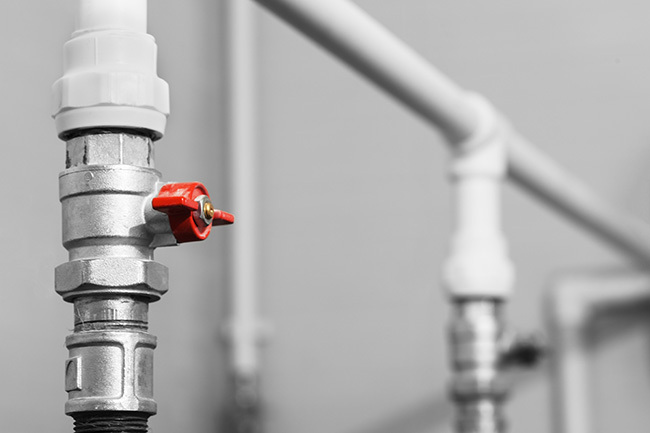 Staying vigilant and stopping plumbing and water leaks before they start is the best way to prevent water damage and keep your home in great shape. The best way to prevent water damage is to replace your leaky windows with energy efficient and insulated windows. Replacing your old doors, windows, siding, and gutters will prevent water from seeping into your home. That’s why Feldco is trusted among many homeowners in Springfield and in the Midwest. Over 350,000 delighted customers chose Feldco for their windows, siding, doors, and gutter and now it’s up to you to choose Feldco so your home can be protected from water damage. Speak to a product specialist and get a free quote today.